Dental crowns and bridges are custom-fitted tooth prosthetics that are used to replace or restore damaged or missing teeth. Crowns – also known as caps – are fixed over the surfaces of natural tooth structures or dental implants. Bridges are used to fill in the gaps left by missing teeth and are anchored in place by the natural teeth or crowns nearest the empty space. Both crowns and bridges are non-removable and must be cemented in place by a licensed dentist or an RDAEF2. Patients who get crowns or bridges to restore their smiles achieve both the function and appearance of natural, healthy teeth. We understand that our patients do not want to come to the dentist more than they have to (although, we hear our patients love to come and see us!). Therefore, we try and accommodate our patients by performing as much treatment as possible in one visit. With same-day crowns, you can leave our office with a permanent, metal-free crown! Yes, that means no temporary crown! It allows for you to take less time off of work and continue with your normal activities. 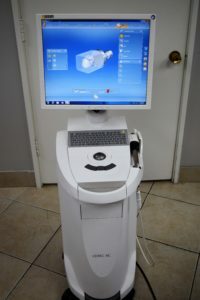 Our CEREC machine digitally images your teeth, and allows for us to digitally make your crown. It will then be sent to our in-house milling machine that will 3D print your new crown! 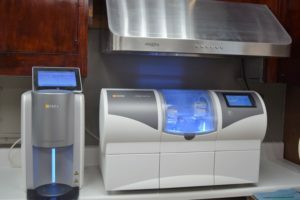 There are several materials we use with our Cerec machine, including EMAX, EMPRESS, CELTRA-DUO, and ZIRCONIA. 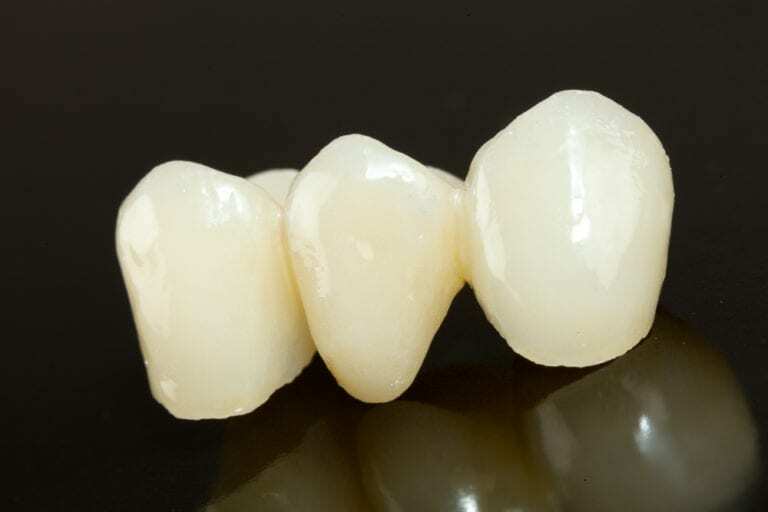 If you are a candidate for a crown or bridge, your teeth will be reduced to ensure a proper fit. An impression will then be taken of your bite and used to fabricate a mold for the crown or bridge. If you are choosing a porcelain prosthesis, its color will be matched to the natural shade of your other teeth. If a CEREC crown is not a good fit for you, your impression will be sent out to another dental lab dental and you may be fitted with a temporary restoration until the permanent one is ready for placement.